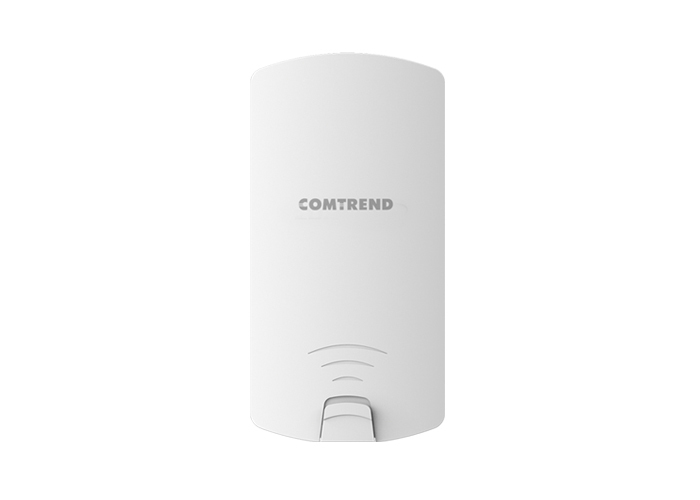 COMTREND WAP-5925mn is a highly-reliable outdoor wireless access point designed to extend wireless network coverage for enterprise users. With the latest wireless 802.11ac technology for improvements in the speed, reliability and quality of wireless communications, the WAP-5925mn provides operation in 5GHz wireless coverage for maximum flexibility. Additionally, the WAP-5925mn features two gigabit LAN ports. One is for passive Power over Ethernet and the other one is Pass-through passive PSE power which can power up another IP Camera or networking device. A wall or pole-mounted design and industrial-grade build quality combined with user-friendly operation and extensive feature set, make an ideal high-performance solution for demanding day-to-day enterprise operations. 802.11AC High Speed: IEEE 802.11ac with 900Mbps wireless speed. Multiple SSID: Supports up to 16 SSIDs ideal for multiple departments, user groups, customers or guests. Power Over Ethernet Supports Passive PoE in and out. Central Management Easy and intuitive central management tool, supports AP array architecture. Easy Installation Wall-mount or pole-mounted design with easy installation kit. TR-069 Remote Management: Remotely manage firmware updates, configurations and backup. Backup & Restore: Save & restore settings through web interface and USB memory stick. TR-069 Support: Remotely manage firmware updates, configurations and backup.